Ireland’s Attorney General travelled to Brussels last week to discuss the legal implications of a potential Brexit deal. 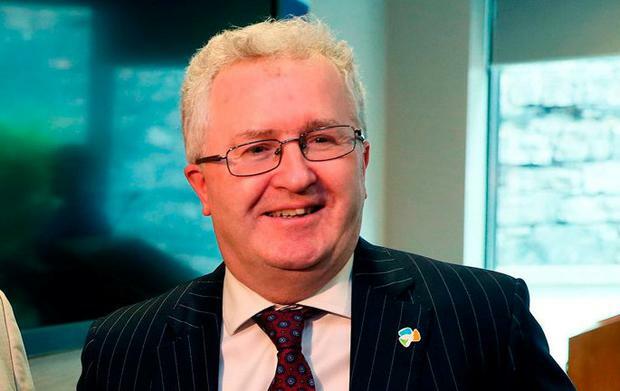 Séamus Woulfe met with a series of senior officials, as the Brexit talks entered the “last-chance saloon”, the Irish Independent understands. One source insisted the move “wouldn’t be out of course”, but a Cabinet minister observed that Mr Woulfe can play no role in the negotiations. “He wouldn’t be going to get involved in the negotiations but he can provide advice on the implications of what is being proposed,” the minister said. The move will heighten expectations that the ingredients for a legally operable ‘Irish backstop’, which will prevent a hard Border under any circumstances, are now in place. Sources say there are now a number of options on the table for what the final withdrawal agreement will look like. However, EU leaders remain steadfast in their view that the next move must come from London. UK Prime Minister Theresa May will once again broach the question of the Border with her divided Cabinet tomorrow. One source said this would be a “last-chance saloon” if she is to have any hope of a special EU summit of leaders being called before the end of the month. “The deal is not done, but there are options there to close this out,” said one official. The view in Dublin is that Mrs May needs to give a “signal” tomorrow as to whether she wants to proceed or not. There is an expectation that if the prime minister doesn’t push a deal with her own ministers in the next 48 hours then the EU may remove the option on a November summit altogether. European Commission president Jean-Claude Juncker said progress is being made towards a definitive Brexit deal, but that it is slow. “I have the impression that we are moving slowly but surely towards a definitive Brexit deal which should be concluded in the weeks to come,” Mr Juncker told France 24 in an interview yesterday. The EU’s chief negotiator Michel Barnier will brief foreign ministers on developments this morning. Afterwards he will have a private meeting with Tánaiste Simon Coveney to discuss the blockages still linked to the so-called ‘Irish backstop’. Speaking on his departure to Brussels, Mr Coveney said the negotiations were at a “very critical and sensitive stage”. “Clear and focused thinking is now required if a satisfactory agreement is to be reached,” he said. “We want an agreement to be reached as soon as possible but urgency is required. “The EU and Ireland’s position remains clear and consistent. “The withdrawal agreement must include a legally operable backstop for avoiding a hard Border that must be in place unless and until another solution is found. Any review mechanism must be in line with this.